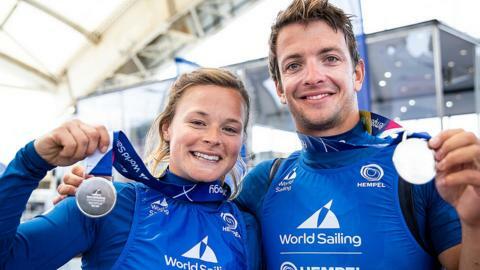 Britain's Ben Saxton and Nikki Boniface win the silver medal in the Nacra 17 class at the Sailing World Cup Series in Genoa. Britain's Emma Wilson wins a bronze medal in the windsurfing RS:X European Championships in Mallorca, Spain. Great Britain win eight medals - two golds, two silver and four bronze - on the final day of the Princess Sofia Trophy.